Not long ago a 45 year old white male patient, employed as a security guard, presented to my office with a fractured upper right central incisor. After a clinical examination and a review of his x-ray films, the tooth was determined to be hopelessly fractured. An image of his initial presentation is shown below. After clinical review and radiographic evaluation a dialogue was opened with the patient to discuss his treatment options and to gauge how he felt about the alternatives. 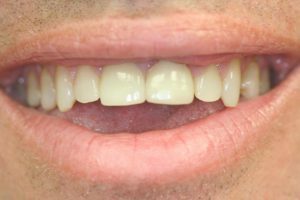 After a discussion with the patient and some processing of his options, he selected the extraction of the fractured and hopeless tooth with the immediate placement of an implant fixture. The implant fixture after initial stabilization was temporized with a custom screw retained temporary crown and worn throughout the 5 month healing period. 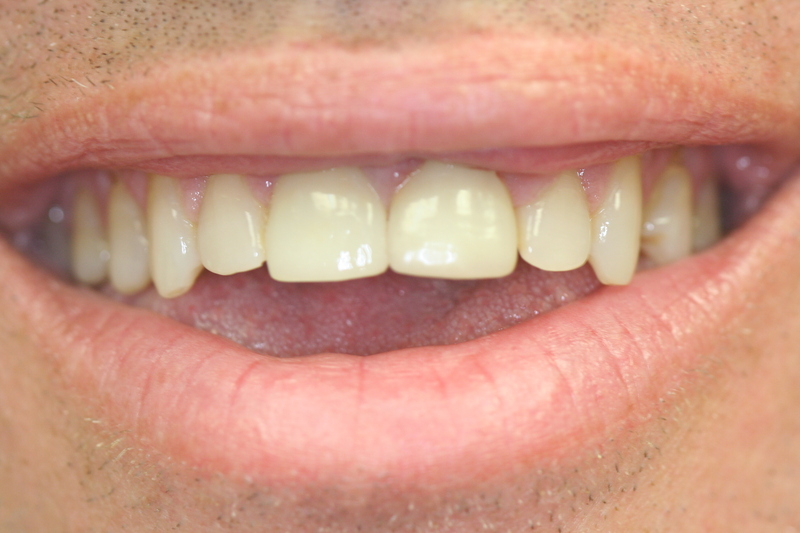 An image of the patient’s presentation following the extraction, placement of the implant as well as the placement of a temporary crown is found below. 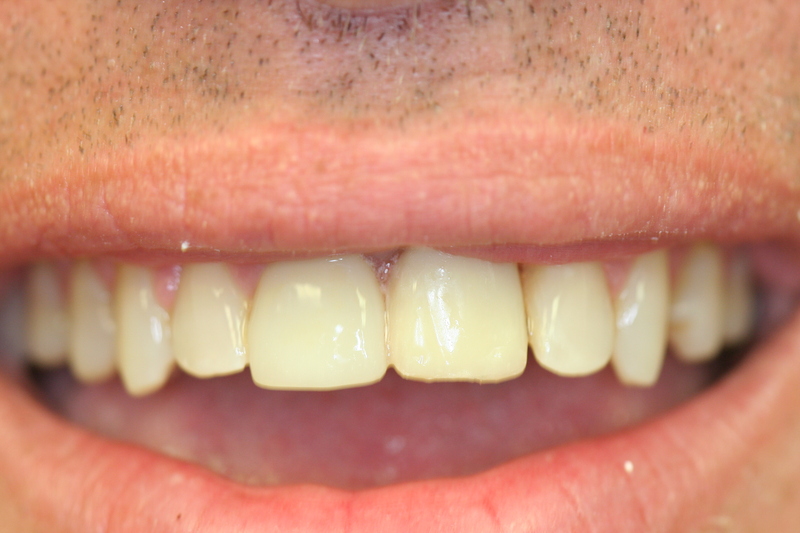 Following 5 months of healing, impressions are taken and the implant was restored. A combination custom abutment (connector) made of a combination of Zircon and metal alloy was fabricated by CAD-CAM (computer aided design and computer aided manufacture). 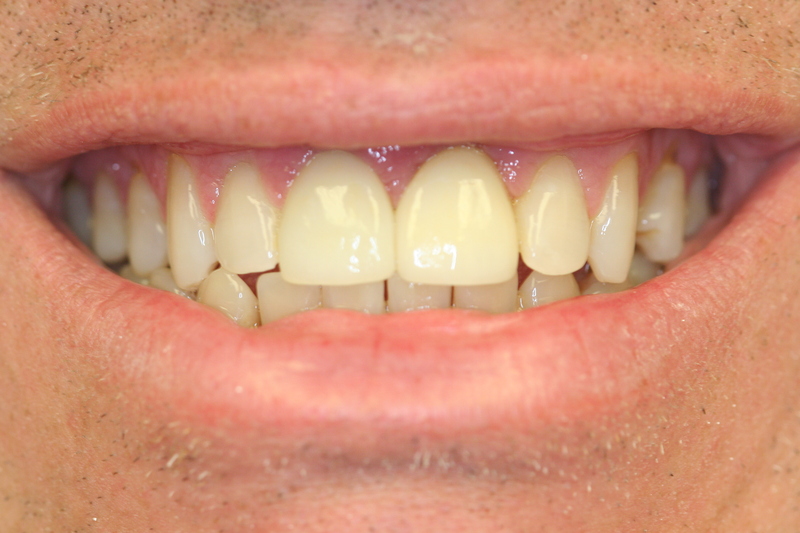 The case was restored with a custom fabricated eMax all Porcelain Jacket crown. An image of the completed case is shown below. East Boynton Dental knows and understands the “Esthetic Zone”. If you would like to discuss this case or any other found here at the “East Boynton Dental” Blog please contact our office. We would be happy to discuss it with you.